Our nursery offers more then 300 species of roses. We are family run plant nursery based in Sigulda, Latvia. 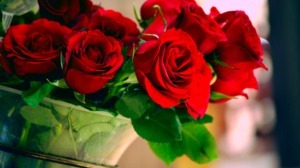 We offer huge selection of roses, tree roses, perennials, balcony and garden flowers. Our plant nursery has more than 300 varieties of roses and tree roses. We pride ourselves on being able to offer top quality for roses and plants. The nursery is opened from early spring till november. Since 2015 we have started to grow conifers and decorative bushes as well.